My industry has a number of trade shows each year. How do I determine which ones I should attend? This is an important question. Trade show attendance can be pricey so it’s important to carefully choose which ones you will attend. It’s a good idea to do a little research using trade show publications, but don’t forget to talk to your existing customers. They’ll be a wealth of information on which shows are well-publicized and attended. But what if I choose to advertise in a trade show publication? If you do want to advertise in a trade show publication, then you should advertise in a publication that will be distributed pre-show. This way you can reach buyers who don’t attend as well as those attendants who receive the publication during the show. Why do we need training if we are already experienced with trade shows? We’ve been doing it for years, and we always use the same crew! If you’ve been sending the same crew to the same shows, and selling the same products, then you’re in a rut! Marketing at a trade show is unique, so you need training to learn how to follow up for value of your show and staff. Should we bother with a trade show if we’re just going to walk the aisles? Did you know that trade shows are the best place to research your market and industry? You’ll be able to discover new products, partners and even competitors. Can training help us stretch our dollars? Sales training can help you recognize opportunities, and learn what to look for, as well as save you money and energy. It’s highly recommended for small business owners and independents who are working with a restrictive budget, because trade shows can be expensive. So get the training it takes to make sure your investment is a success! How can training help us understand why we’re not getting the same leads at trade shows that we used to, and do something about it? A marketing consultant who specializes in trade shows can help you learn to evaluate many things, including shows and your marketing approach. In order to correct problems, you have to pinpoint them! If I participate in training, will we need to change the way we run our booth at trade shows? That will be up to you, based on the information you learn in training. If you find that there is room for improvement in the way you do things, it’s recommended to take action…but that’s always your choice! 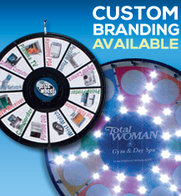 How many trade show promotional items should I buy? 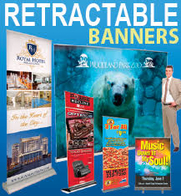 Many trade show exhibitors mistakenly believe they need to buy promotional items for every attendee that walks through the doors. This isn’t always the case. Most employees working at a trade show can only talk to a person every 1-2 minutes. Determine how many products you need by multiplying 30 (the number of people an employee can talk to in an hour) by the number of employees and the number of hours the trade show will be open. For instance, if your company has 4 employees attending a 2 day (16 hour) show, you should purchase roughly 2000 promotional items. I’m looking into buying promotional trade show giveaways, but I’m overwhelmed. How do I choose between two different pens, for instance? 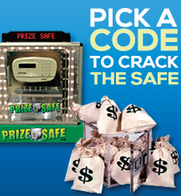 It’s important to consider price and value when buying trade show giveaways. Taking your pen example, two pens could have very different ink refills yet still look the same on the outside. A less expensive pen may skip, leak or just plain not write well, meaning it’s going to go right into the trash after the trade show. The higher quality pen may have a three year shelf life and can provide three years of advertising for your company. Another example is can coolers. Nearly everyone loves getting these and they’re sure to be used. But, if you buy the less expensive version with a smooth interior, it will be difficult to remove the can. After a few attempts, most people will give up and toss the entire thing – can and cooler – into the garbage. Consider a higher quality cooler with a ribbed interior and the can will easily slide out for use again and again. If you’re unsure which product can provide greater value, just give us a call. 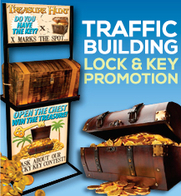 We’re happy to help you get the most out of your promotional buck. I’m attending a trade show and only have access to one table. How can I maximize my message without a large standing exhibit? It’s becoming more and more common for events to only allow exhibitors a table-top display. There are a number of fold-out table-top systems that can look professional in a small space. Professionally produced graphics and professional grade fixtures should always be used – avoid anything you made on your own desktop printer. Is a literature rack a necessity? 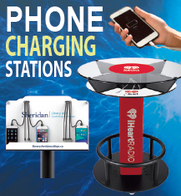 Sure you can spread out brochures and other promotional literature on a table. However, you’ll likely spend the majority of your time straightening the stacks of catalogs, flyers and brochures just to maintain a neat appearance. A professional, well-designed literature rack will neatly hold all your paperwork and help you portray an image that will instill confidence in potential customers. 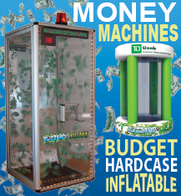 I’ve found a trade show display that looks like it will fit my needs, but it’s really inexpensive. Is it worth sacrificing quality for cost? Well, it depends. How many trade shows do you attend? 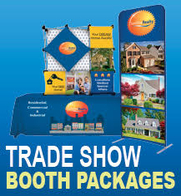 If you’re only planning on attending one trade show, you can save a little money by purchasing a cheaper display. However, if you attend multiple shows or even just one a year, you’ll save yourself money in the long run if you spend a little more on a display that will stand the test of time. Cheap displays are just that — cheap. They’re often made from plastic parts instead of metal and can easily snap and break. There’s nothing worse than arriving at a show with a broken display. I recently came back from a trade show and was surprised to see that I wasn’t allowed to set up my own booth. How come? 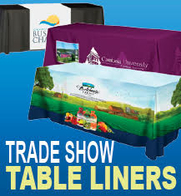 Some trade show exhibition sites have unions to handle everything related to setting up booths. Many exhibitors are surprised to find they can’t carry in their own supplies. 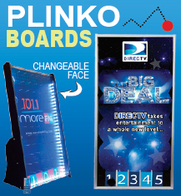 These unions handle everything from plugging in electrical outlets to setting up a display. It’s important to play by these rules if there is a union in place. The union can easily shut down your exhibit and ask you to leave the hall. How much will a union add to my trade show costs? This will depend on a number of things, but the costs should be outlined in pre-trade show publications. If you’re unsure whether the venue has a union, call the organizers and ask. The last thing you want is to be surprised by unexpected costs. I’ve thought about having my supplies shipped to the exhibition hall. Is this a good idea? Having your supplies directly shipped to the trade show venue can be a great way to make planning easier. If your supplies are waiting for you, you’ll be able to dive right in the moment you arrive. However, this does require planning. Many halls have strict rules regarding the number of packages that can be shipped per exhibitor and the charge for excess packages can be costly. Additionally, many halls only accept exhibitors’ packages during a specific window of time. If you do choose to ship packages, make sure to have a contingency plan in case of shipping delays. What will happen if your marketing materials and giveaways don’t arrive?